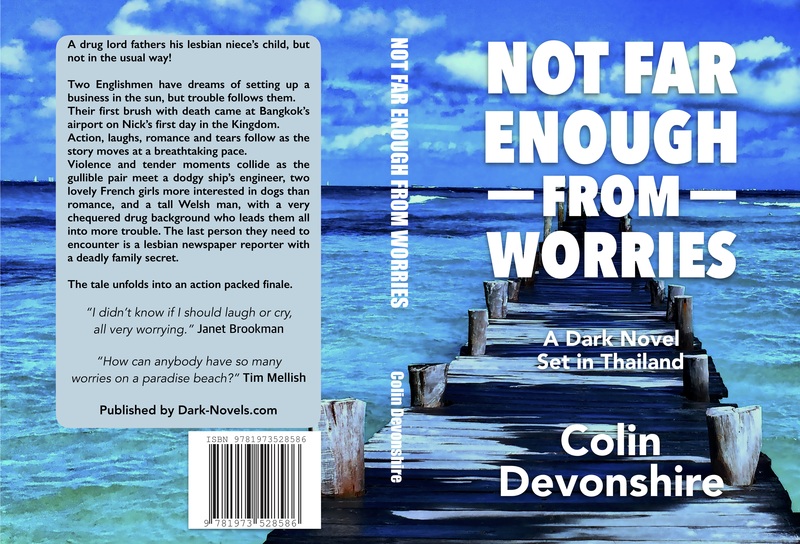 While you are waiting… – Thrills – Suspense – Horror! 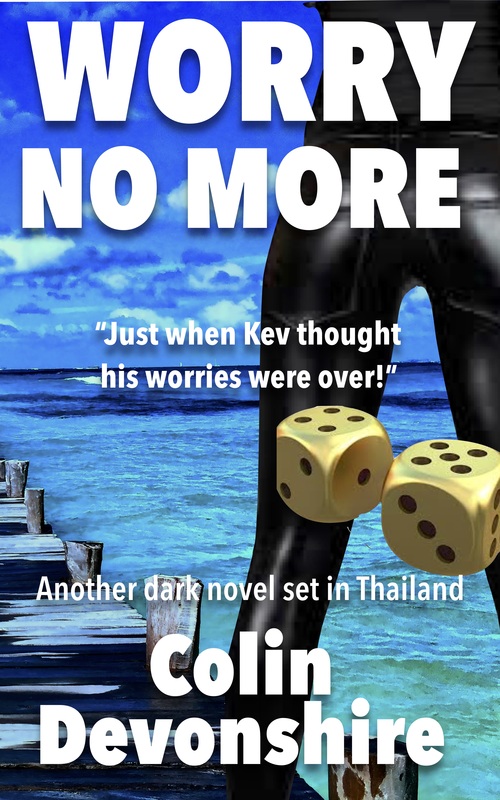 If you are eagerly awaiting Thomas Harris’ new novel, Cari Mora, why not read one of his best? Hero FBI profiler had captured Hannibal Lecter. Soon after Will Graham was forced to retire because of the serious injuries caused in the arrest of the serial killer. Now, after 3 years of retirement, Will is asked to help the FBI to track down ‘The Tooth Fairy’. The killer seems to have no reason to target his victims. Will realizes he needs Hannibal Lecter to point him in the right direction, that will not be easy. The killer is revealed as obsessed by the William Blake painting ‘The Great Red Dragon and the Woman Clothed in Sun‘ which he had tattooed on his back. Our killer, Mr Dolarhyde, has suffered a traumatic childhood, he has very violent sexual urges, he believes he needs to ‘change’ people, by changing means killing them! It is not Dolarhyde, but ‘The Red Dragon’ who does the deed. There is a very sleazy reporter who gets captured by Dolarhyde, who is wild with anger when he reads that the killer is an impotent homosexual. A story fed to the journalist by the FBI. The newsman has his lips bitten off, and then set on fire. A blind co-worker of Dolarhyde, is the romantic part. She is a kind and generous person who the killer gets infatuated by. He then turns jealous when he sees her with another worker, Dolarhyde decides to act, in the only way he knows! There is a very clever twist which will keep you guessing right to the end. Needless to say that Lecter is involved in it, even though from his prison cell! Great praise, if it was ever needed, was from James Ellroy who described the novel as ‘the best pure thriller I’ve ever read’ and cited it as an influence on his own novel ‘Killer on the Road’. A quick mention of the tattoo on Dolarhyde’s back. 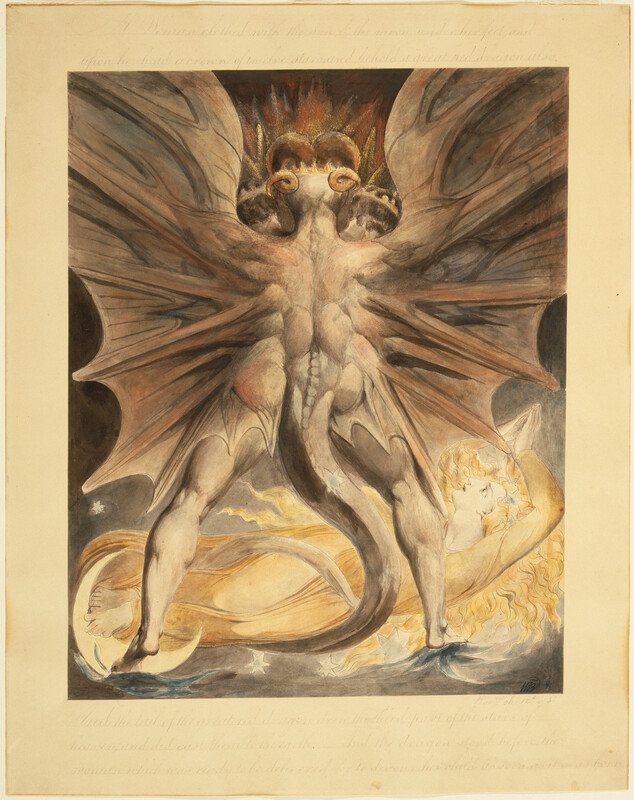 The Great Red Dragon Paintings are a series of watercolour paintings by the English poet and painter William Blake, painted between 1805 and 1810. It was during this period that Blake was commissioned to create over a hundred paintings intended to illustrate books of the Bible. These paintings depict ‘The Great Red Dragon’ in various scenes from the Book of Revelation. Previous Thomas Harris has a new novel!